One of the greatest difficulties in trying to plant churches among Arabs is the constant issue of FEAR - fear of persecution, fear of rejection, fear of expulsion from family or community, and even perhaps fear of real death by execution. If only this fear were removed, we can imagine countless numbers of people sharing with boldness and more people hearing the gospel and coming to faith. Jesus said, "If they persecuted me, they will persecute you also." Our aim is not to eliminate persecution and minimize danger in our ministry. Actually, we know the one sure-fire guaranteed way to eliminate persecution: stop talking about Jesus!!! (Nik Ripken, Insanity of God, my paraphrase). But that's not what we want, nor what Christ commands. He commanded us to make disciples, baptizing and teaching. Please continue to pray with us. Again, all prayer requests are in blue color below. The Oh's: Serving Arabs from the Middle East since 2005. 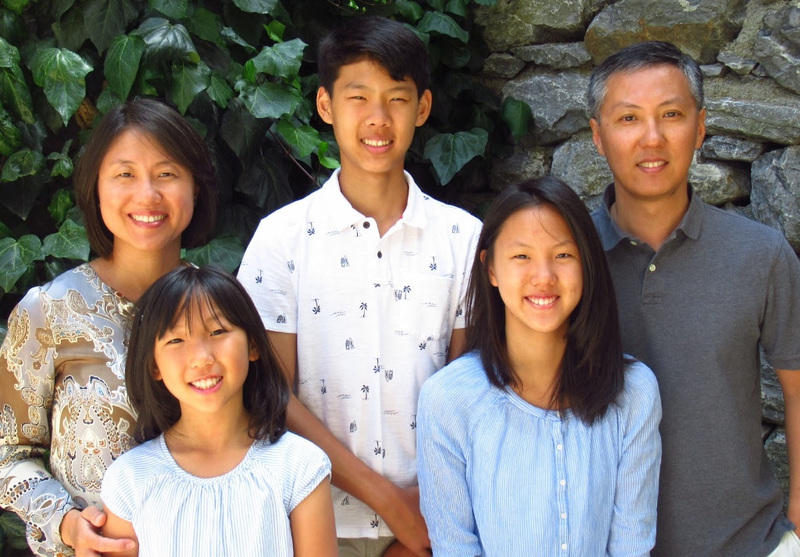 We are happy to report that as you prayed with us, Cindy and our kids' residency cards came in the mail a few weeks back. Hallelujah!!! They were granted one year each and will expire Nov. 12 of this year. We are thankful that God has allowed us another year of residency to continue to live and do ministry here. Peter just applied for his as well and is awaiting approval also. 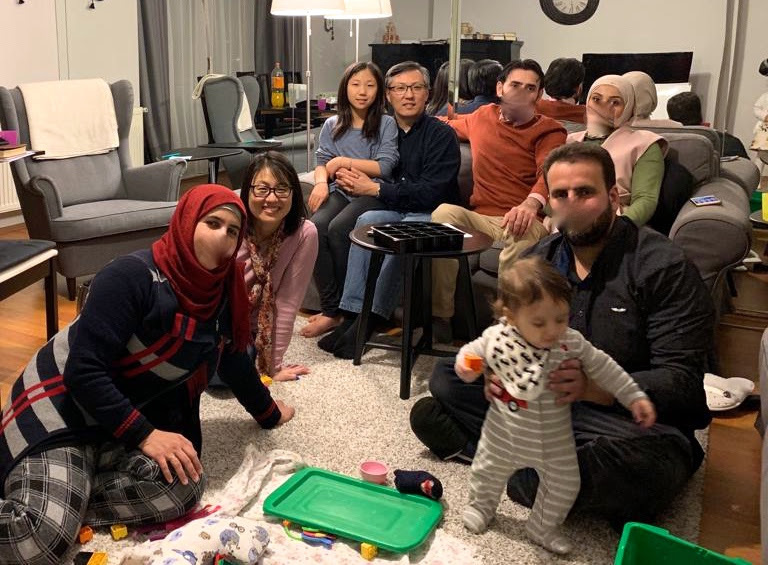 Peter and Cindy have been reaching out to Abe and Rene's family and their extended community of muslim friends. Their entire family came over last week, along with Abe's cousin's family. Peter led them through a Bible study on the Passover event and the Old Testament blood sacrifice. Please pray that they would want to eagerly study more of the Bible and desire to understand it. Abu & Om Ahmed (Father and Mother of Ahmed) and family is another family that lives fairly close to us in our same district. We visited them a couple times and Om Ahmed was very eager to hear more of what Cindy shared with her. Peter shared with Abu Ahmed that we should read not only the Qur'an but also the other Holy Books that God gave. He said that he never had a copy of the Bible, so Peter said he'll bring the Bible with him next time. We plan to visit them this Friday. Please pray for spiritual conviction and desire to read the Bible genuinely with eagerness and longing. Cindy is involved in a team of other workers recruiting and connecting Egyptian mi$$naries to come to Egypt. These native Arab speakers would be able to communicate more effectively than the foreign workers and make an impact in many Arab refugees' lives. Last month, Peter drove Maher (not real name) 8 hours away to the university where he is registered. His passport and residency permit has come to a real issue now. HIs passport is expired, and his residency permit will expire next month. It's a long story, but he needed to go to his university and get an official paper... however, he was not able to obtain the document and the possibility of getting a renewed passport through the study abroad program in Egypt was denied. The other day, he wrote to Peter, "I have lost all hope." Peter met him and reminded him that he is first and foremost a citizen of heaven, that his name is written in the Book of Life, which is more powerful than his name written in a passport. Nevertheless, he will be an illegal alien in Turkey very soon unless God does something. Please pray that Maher will depend on God completely and trust in Him, rather than his own cleverness or skills. SUMMARY OF PRAYER REQUESTS - Pray for our family.... that we would always be spiritually healthy (in prayer, in the Word, in love with God, and doing well in community with others); and that our children would grow in relationship to the Lord, especially as the older ones are now teens. 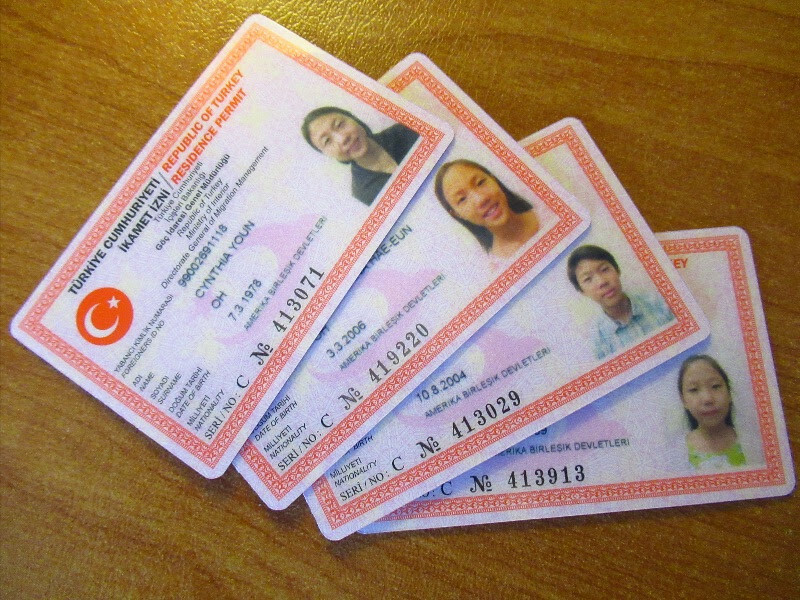 - Praise God for Cindy's and the kids' Residency Permits! Pray for Peter's residency approval which we are waiting for. - For "Abe & Rene's Community": Spiritual hunger, desire to read the Word and study, open doors into their community. - For Abu & Om Ahmed: excitement to read the Bible, spiritual touch and conviction, willingness to meet with us and study Scriptures. - "Maher": God's way of solving his passport problem, humility and brokenness, crying out to God, security in his identity in Christ. - Bringing Egyptians to Turkey: that God would bring, connect, and equip Egyptian workers for effective ministry. Thank you always for your partnership in prayer!!!! If you'd like to make a financial gift (one-time or regular support), please click the button above to go to Pioneers and get started in under 10 minutes. Our account number is 115047. If you'd like to refer a friend to subscribe to this newsletter, please click the button below. To request a new subscription to MEM updates, click below. Copyright © 2019 Pioneers, All rights reserved. You are receiving this email because you either support us financially or have asked to receive these updates.